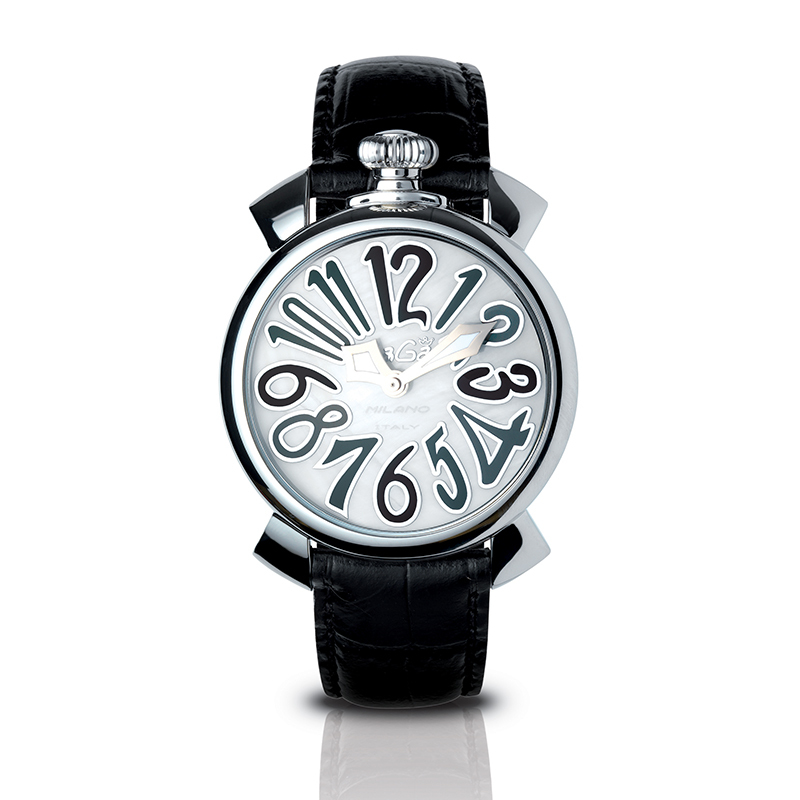 Manual 40mm stands out for its modern design suitable for both casual and elegant occasions. 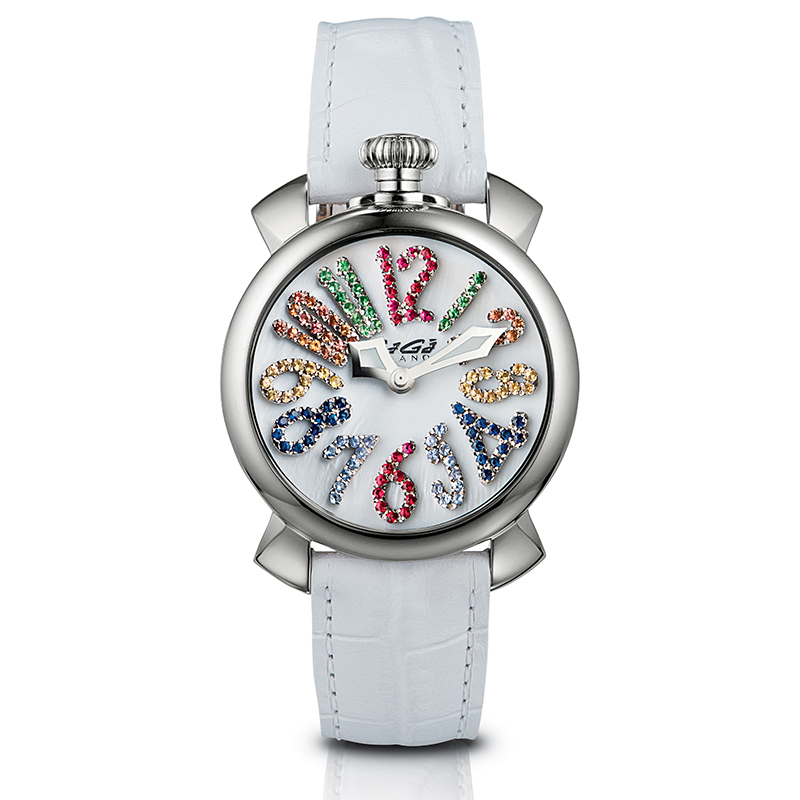 it is charachterized by a 40mm case with mother of pearl dial, quartz movement and the unmissable screw-down crown at 12 o'clock. 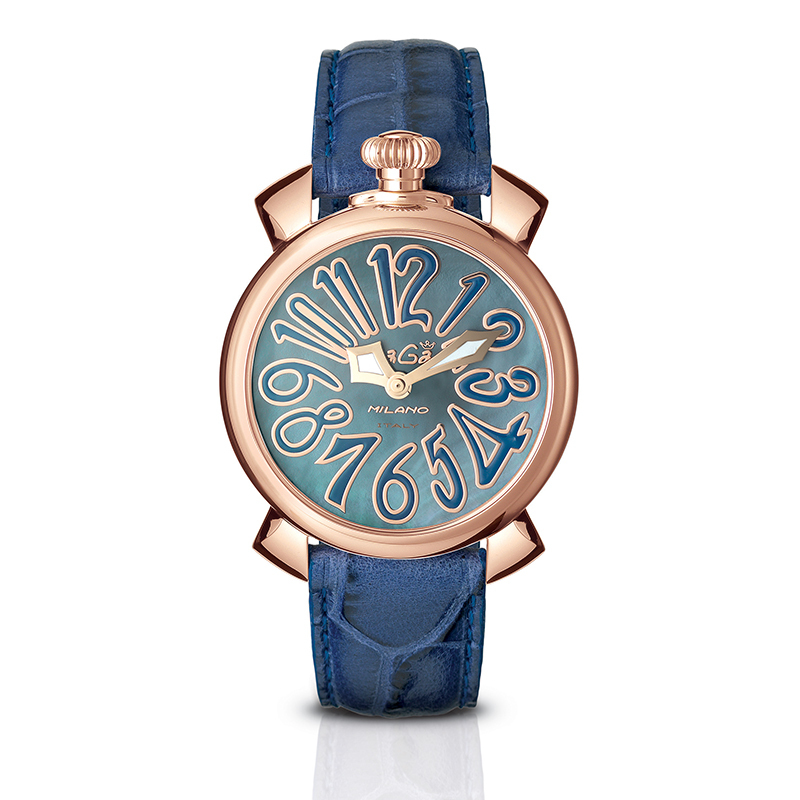 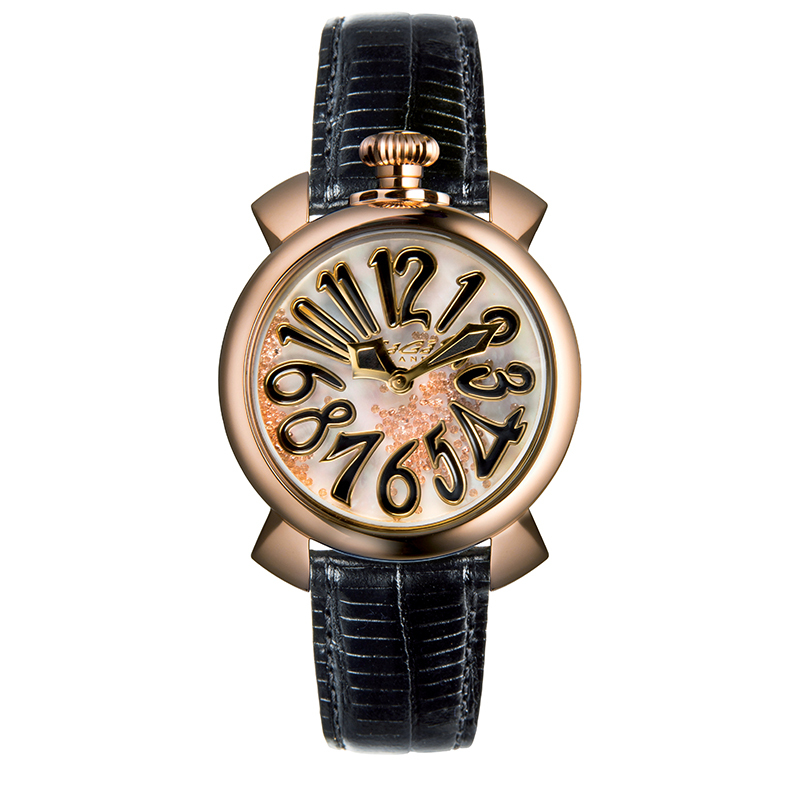 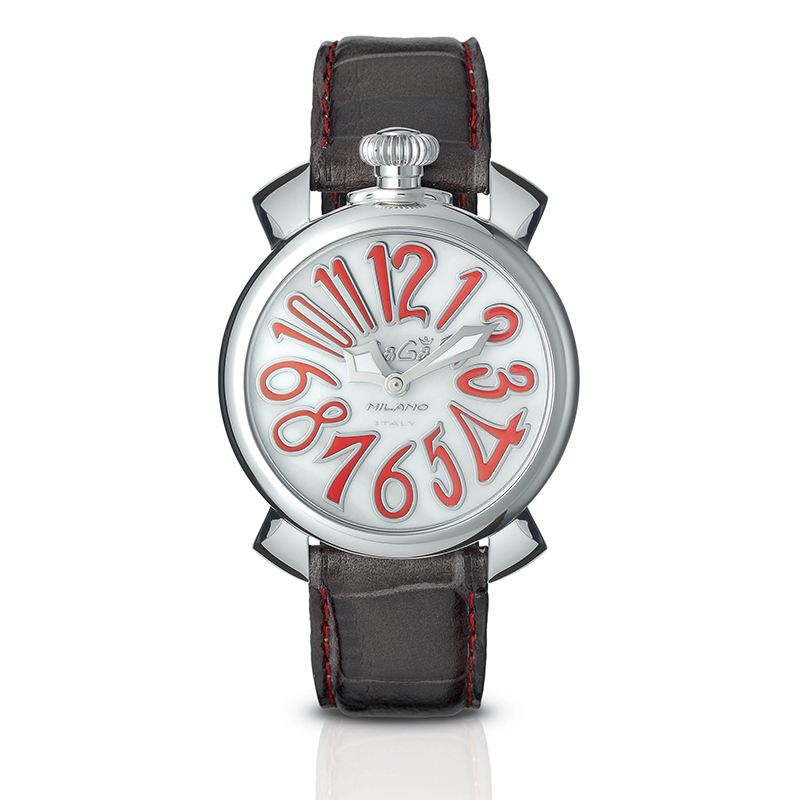 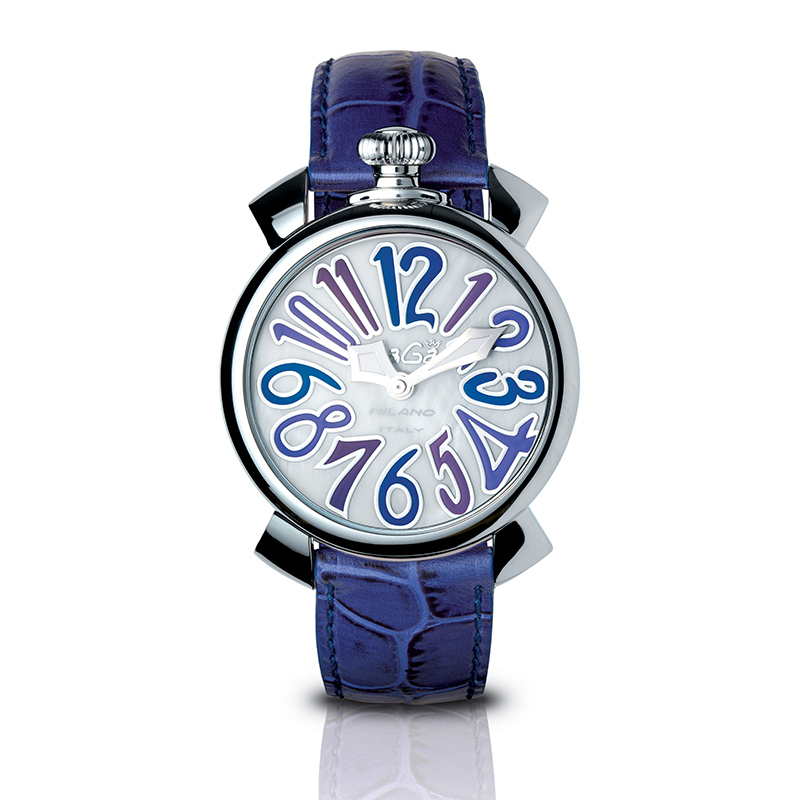 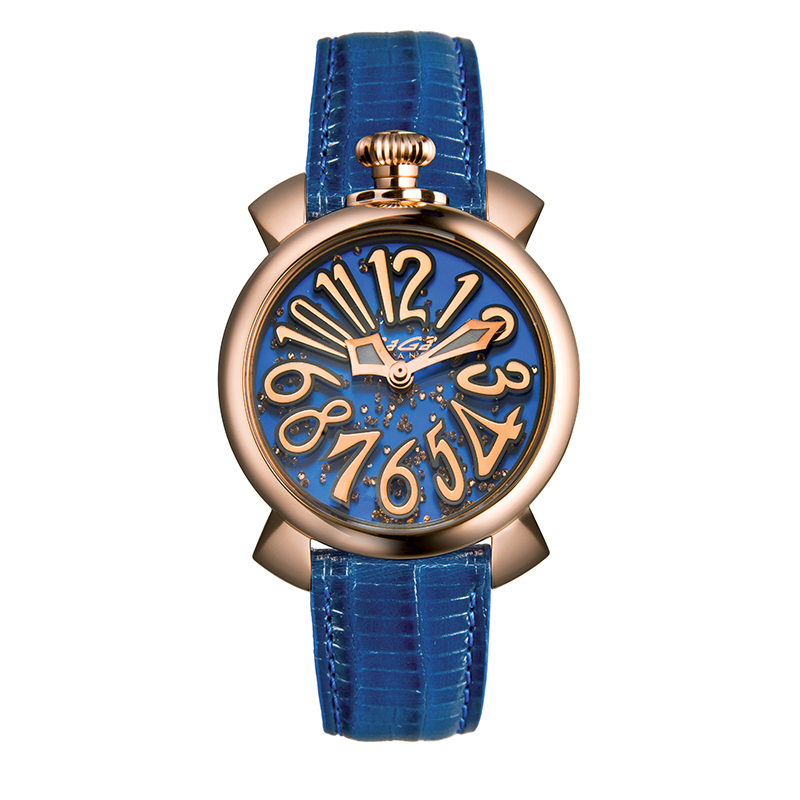 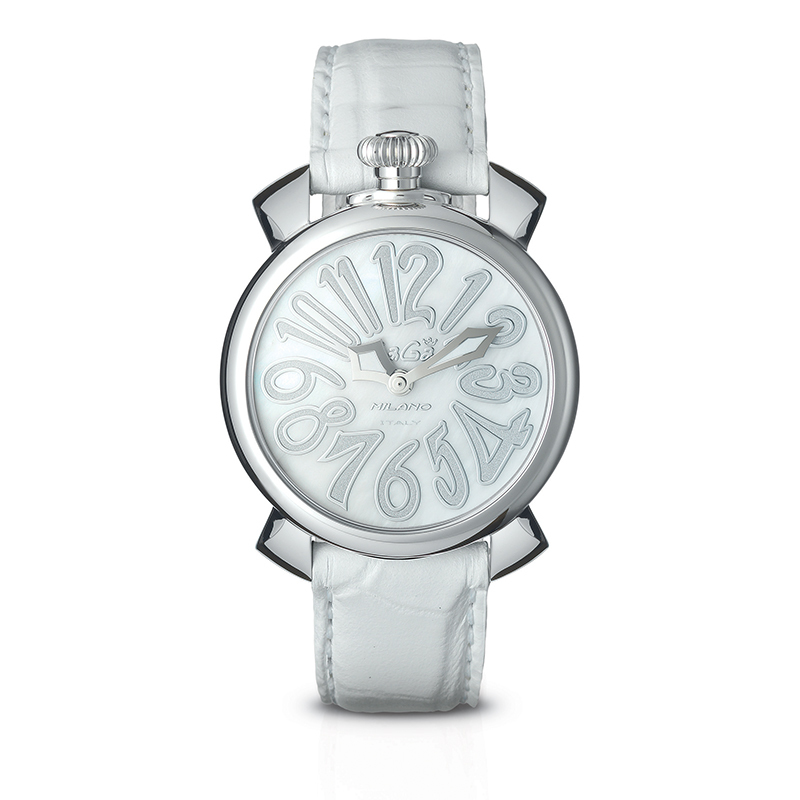 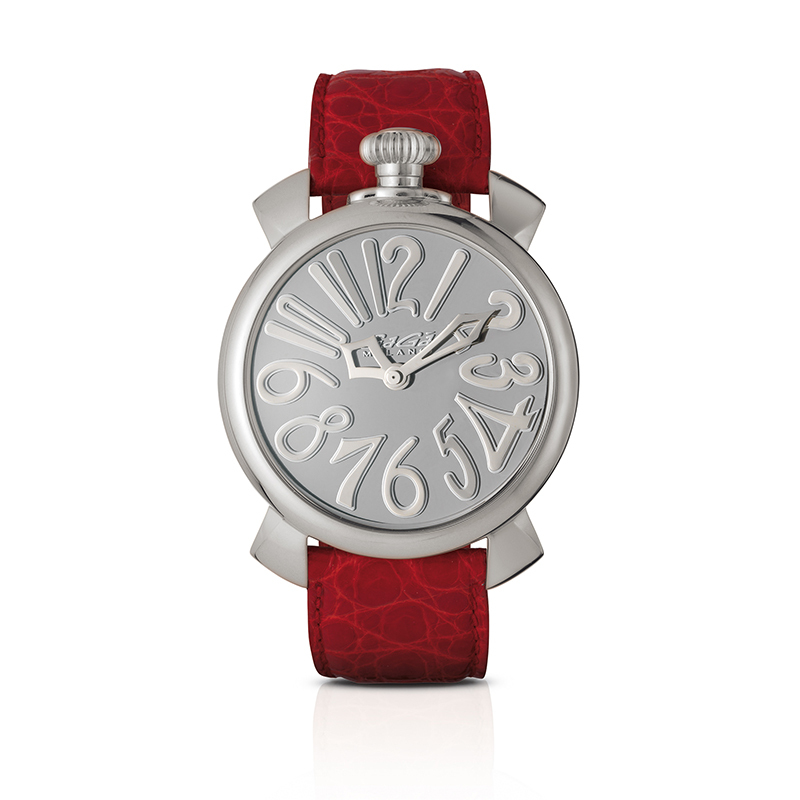 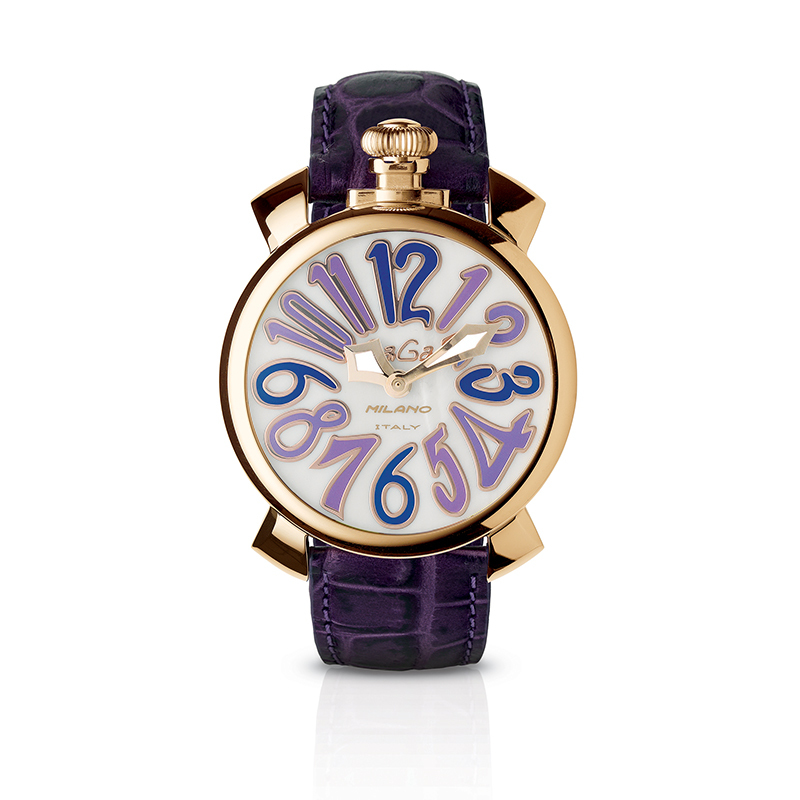 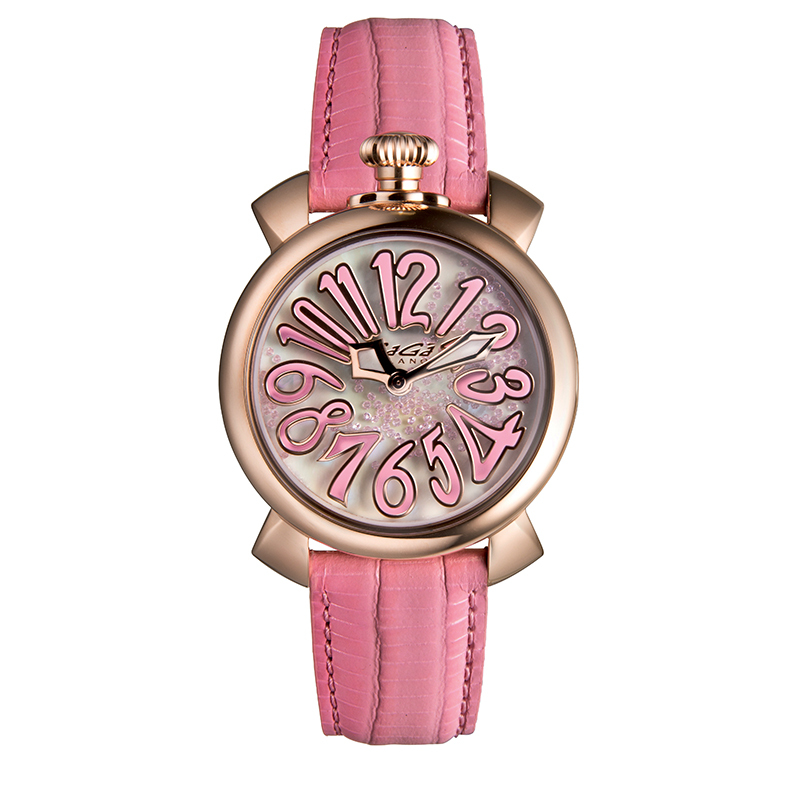 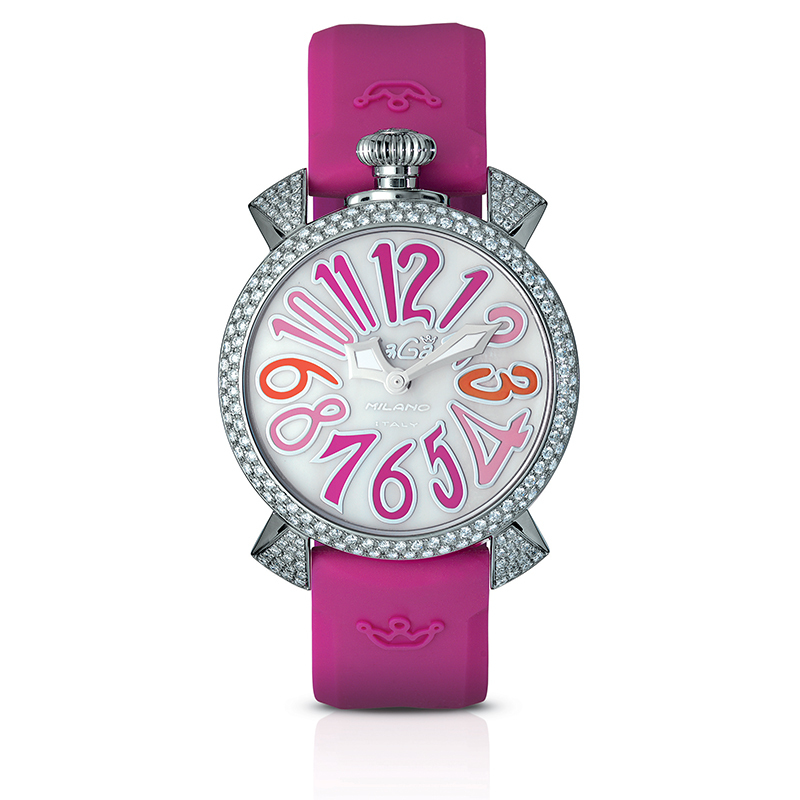 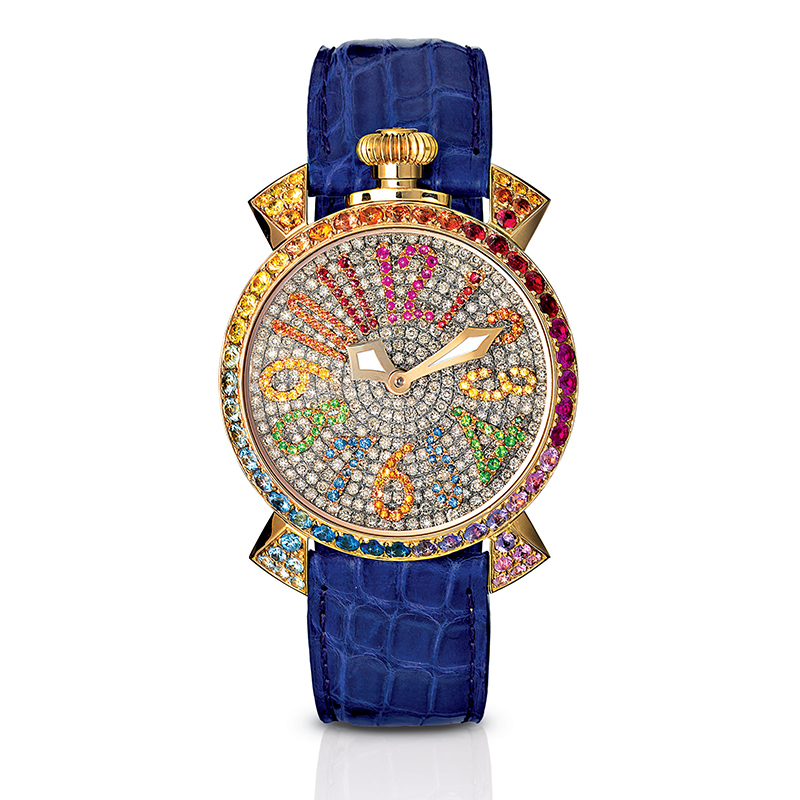 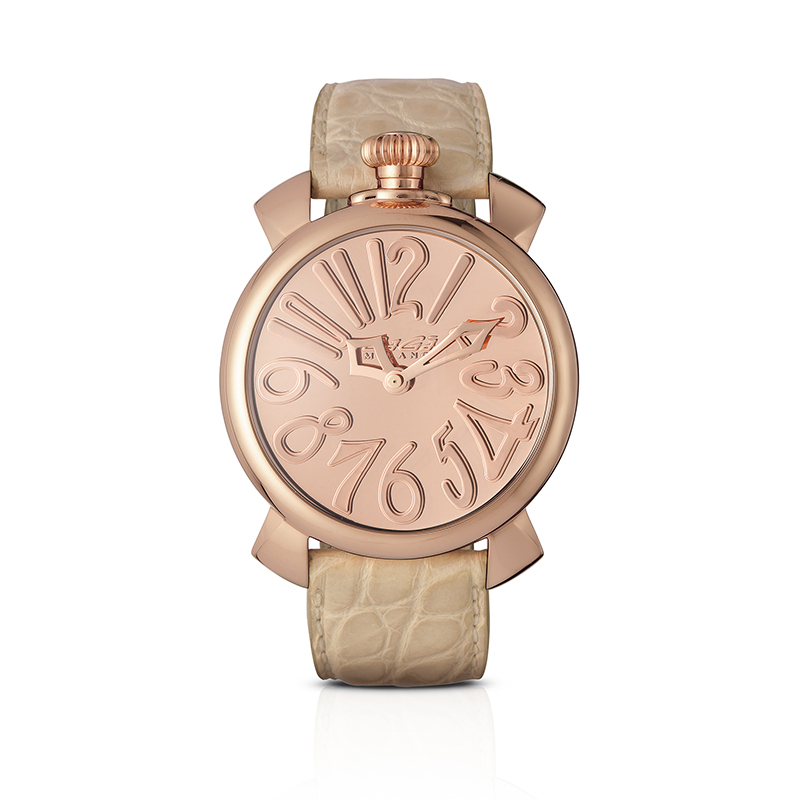 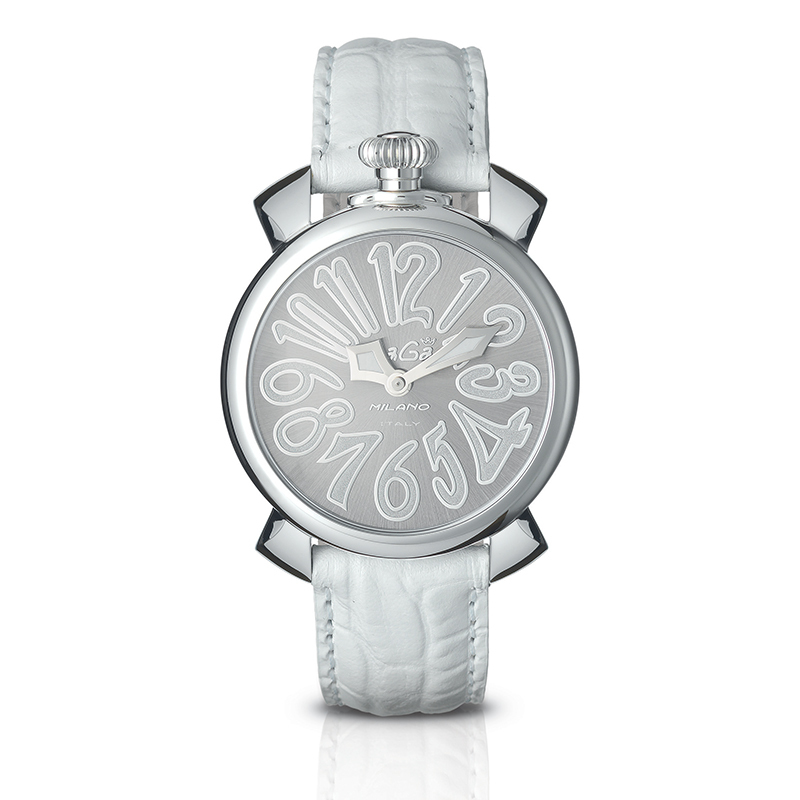 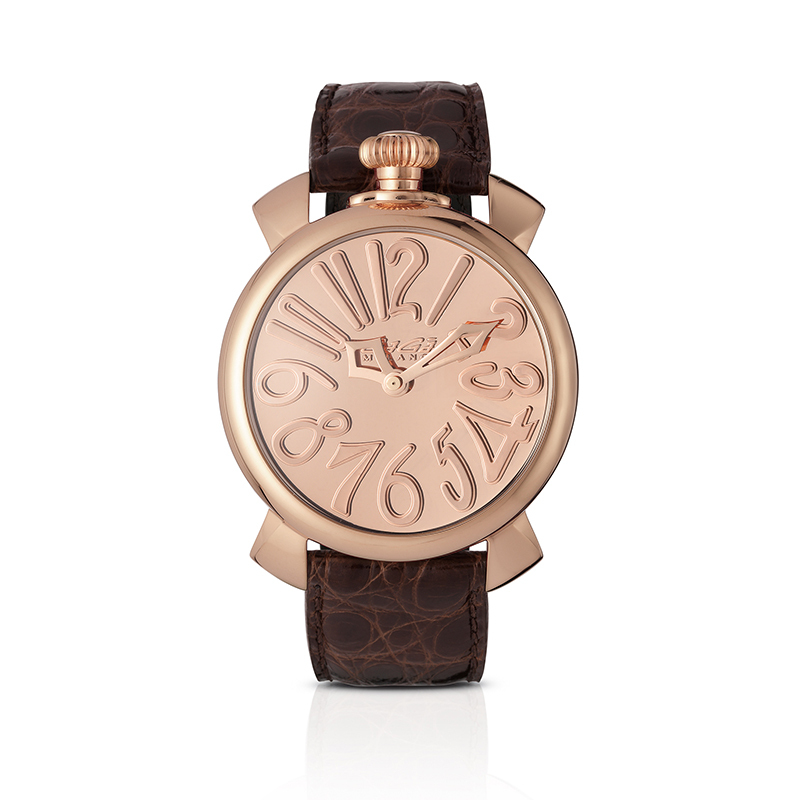 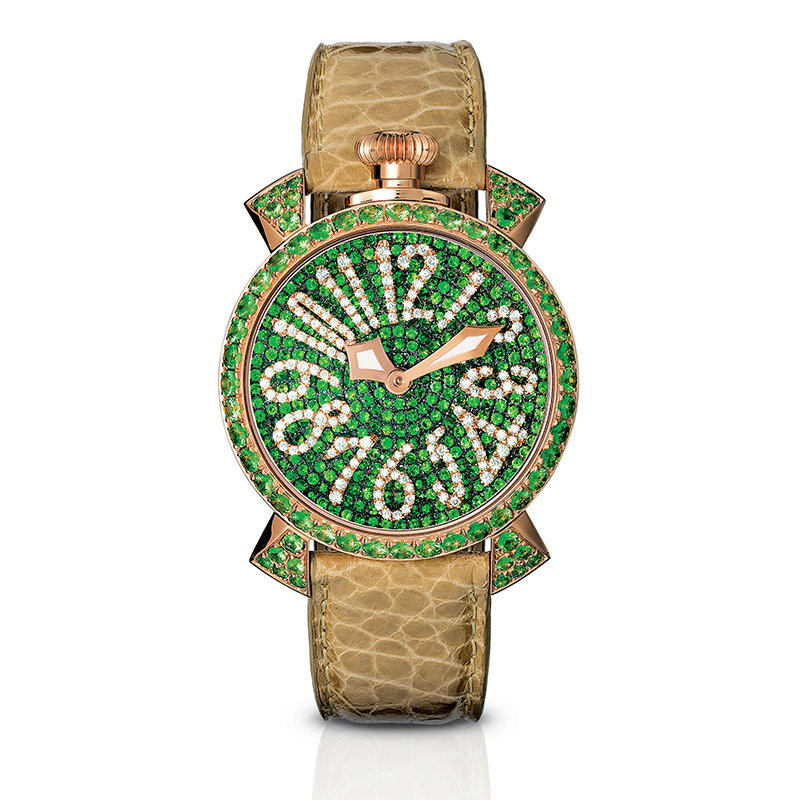 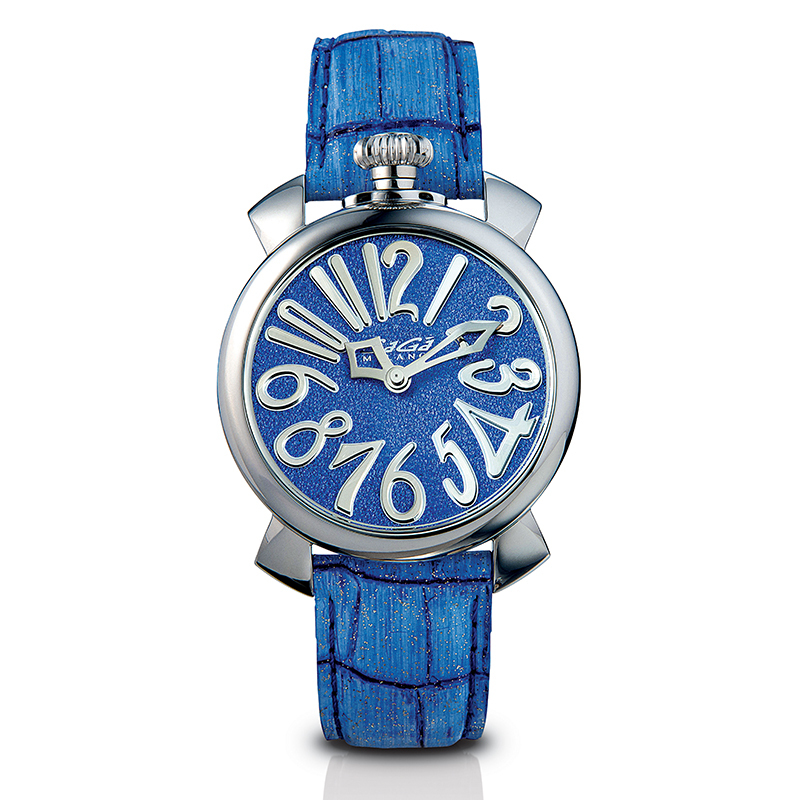 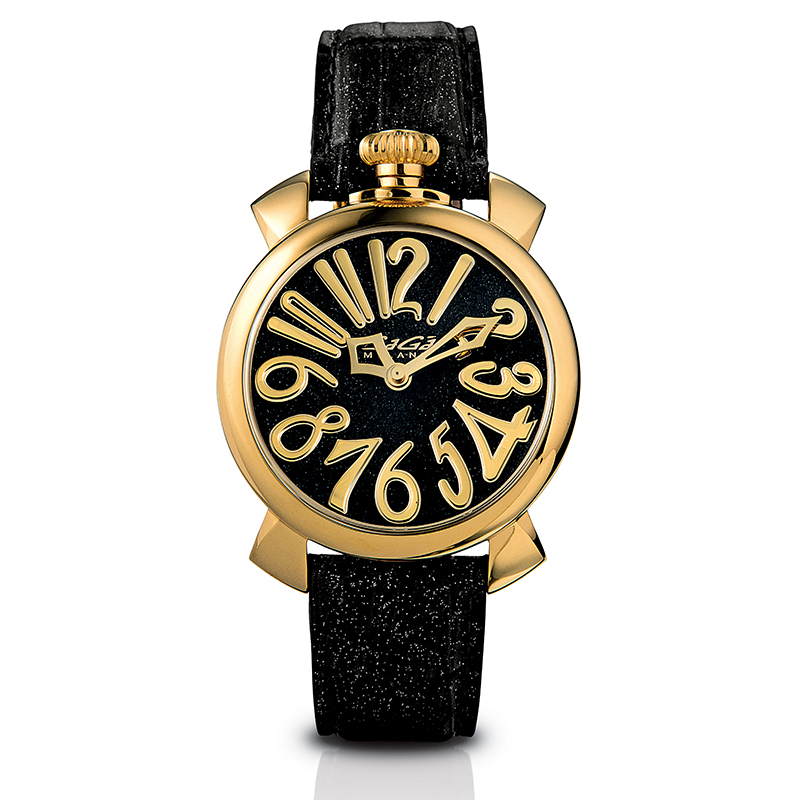 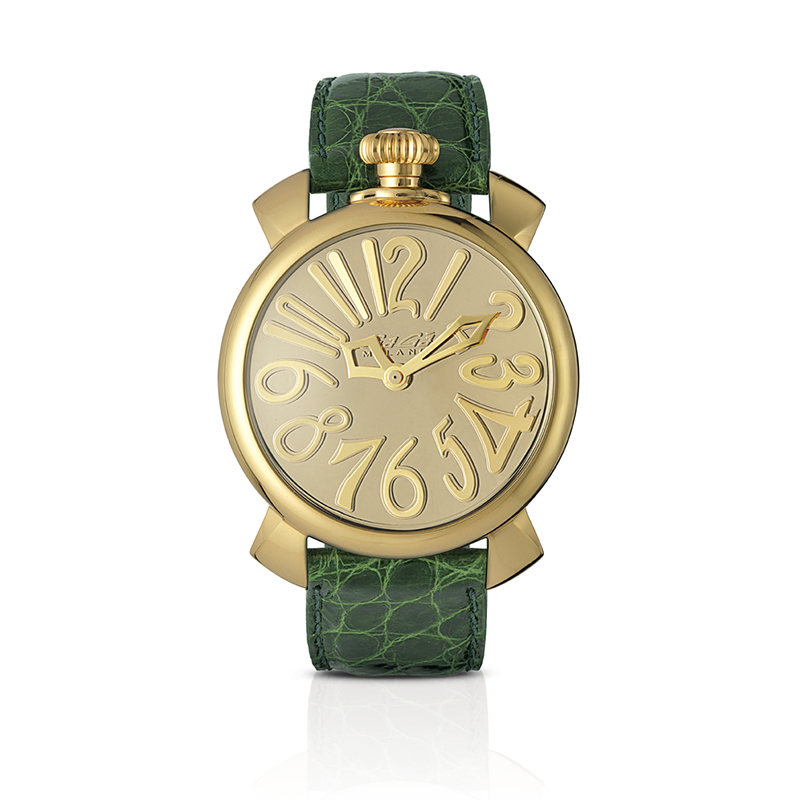 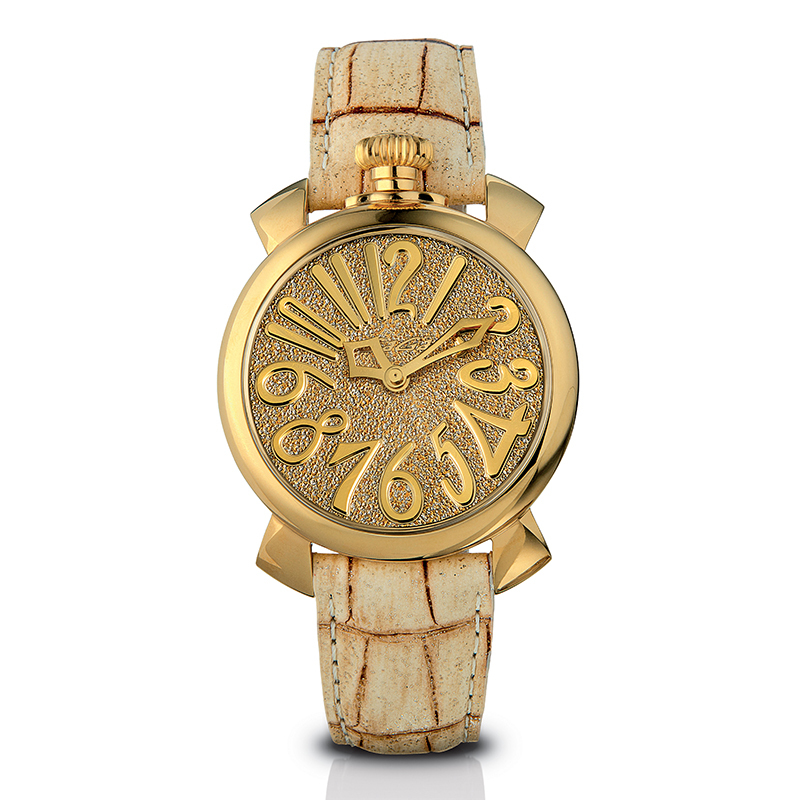 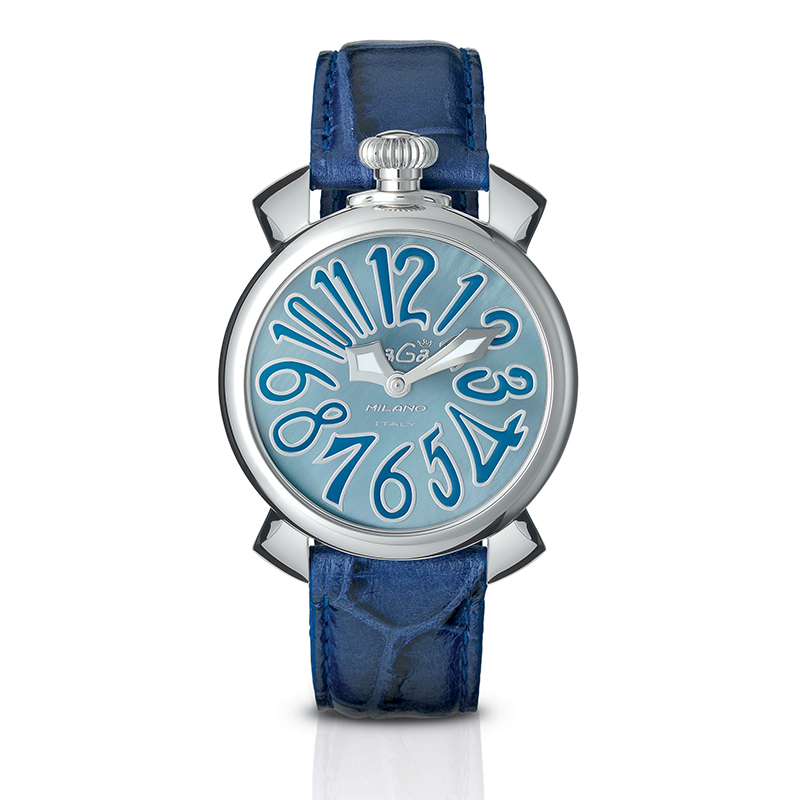 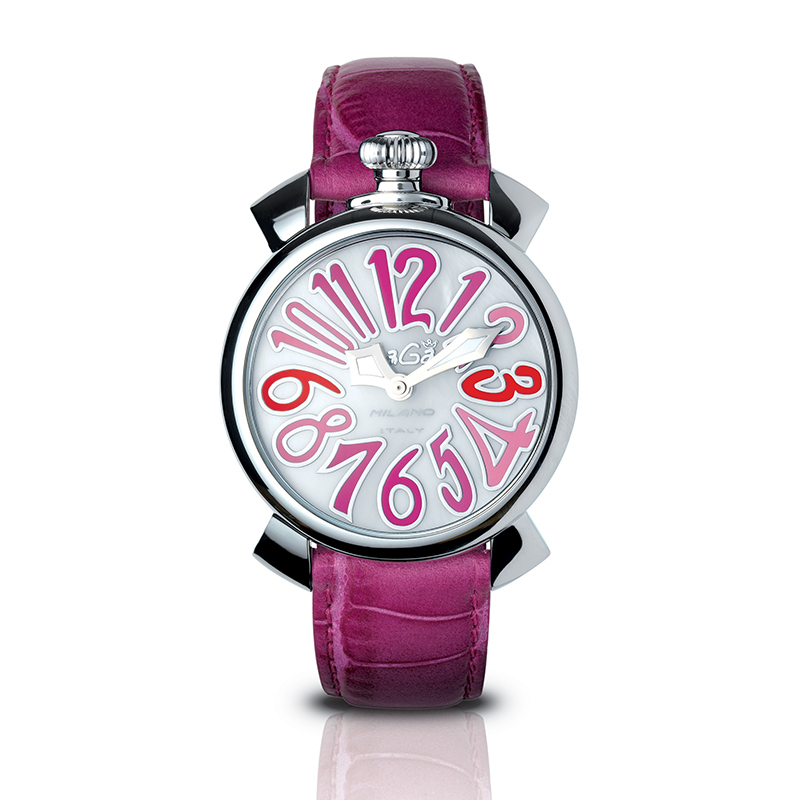 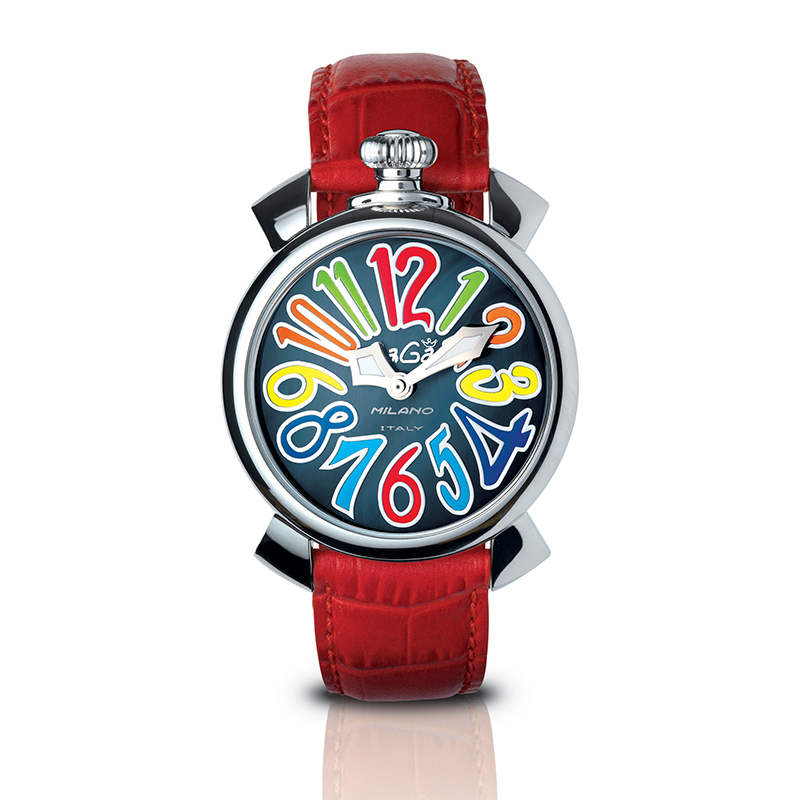 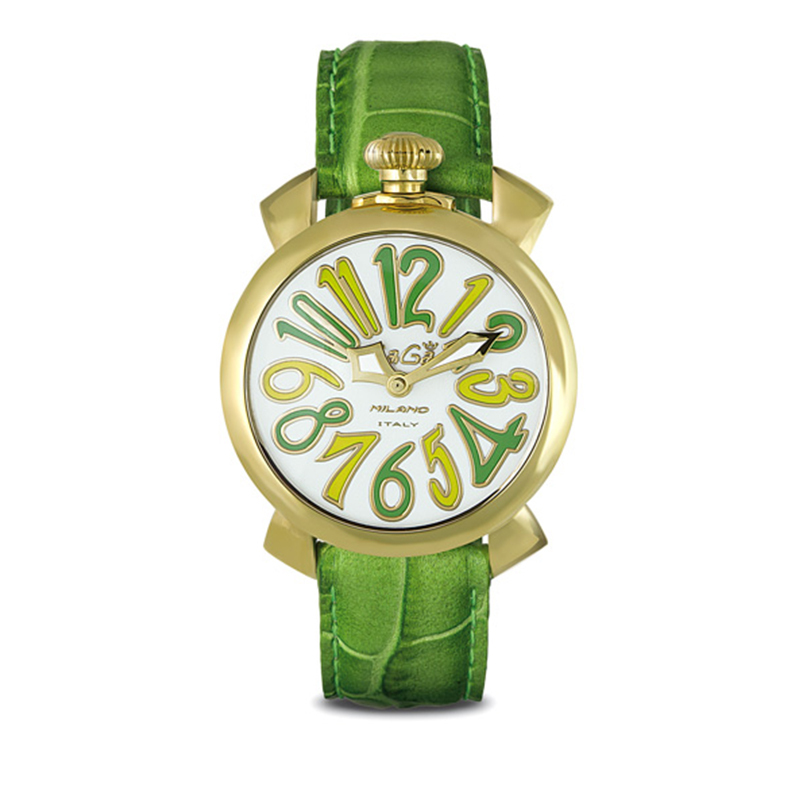 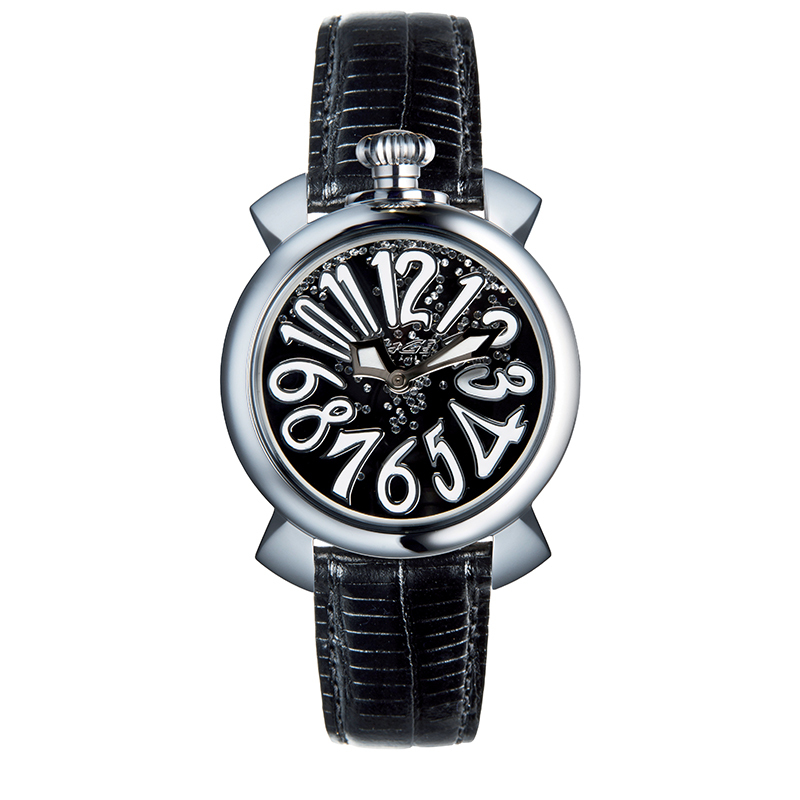 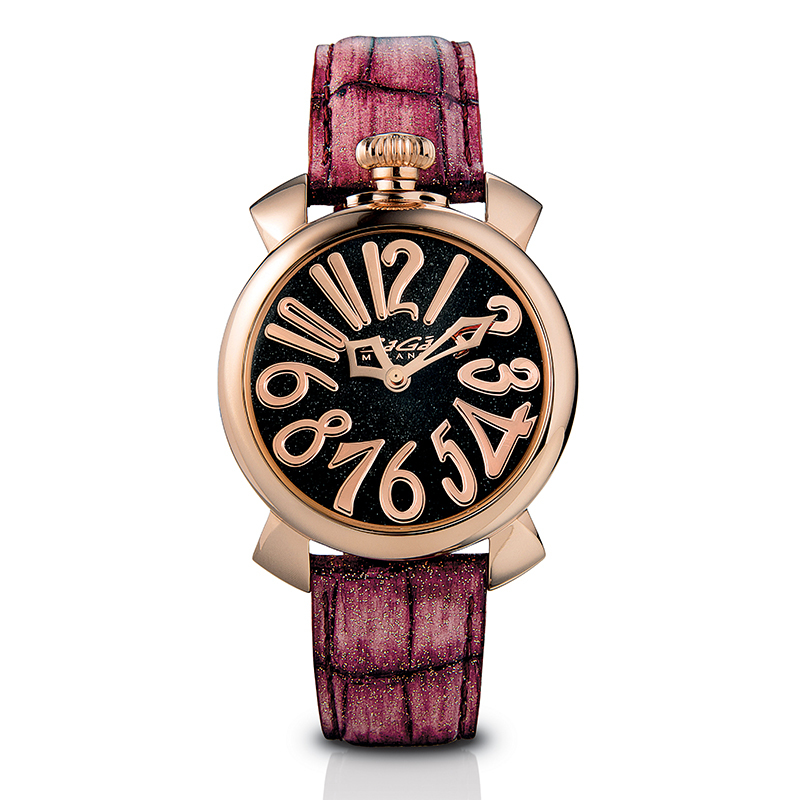 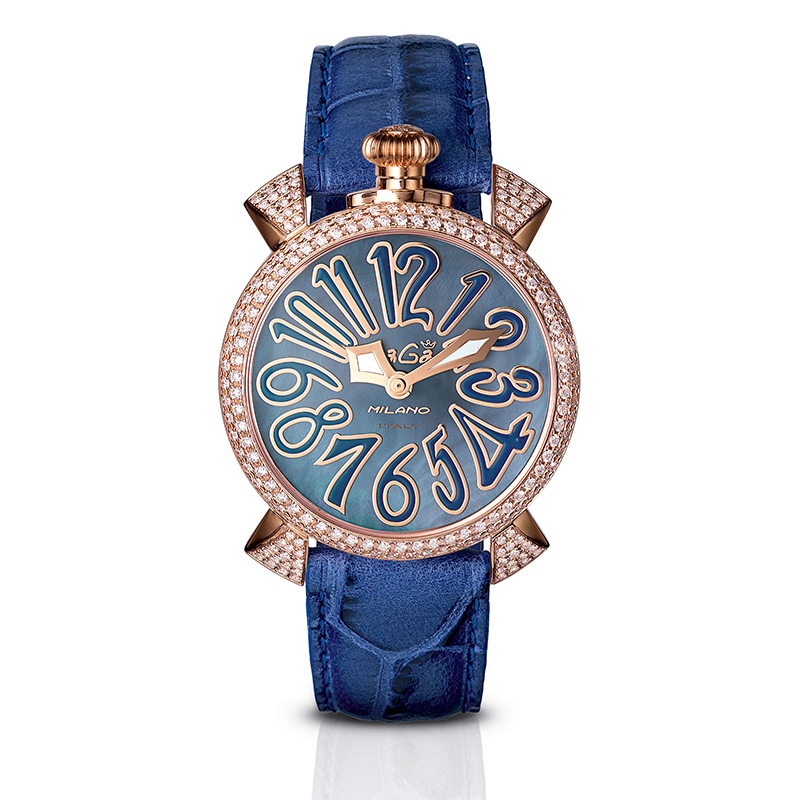 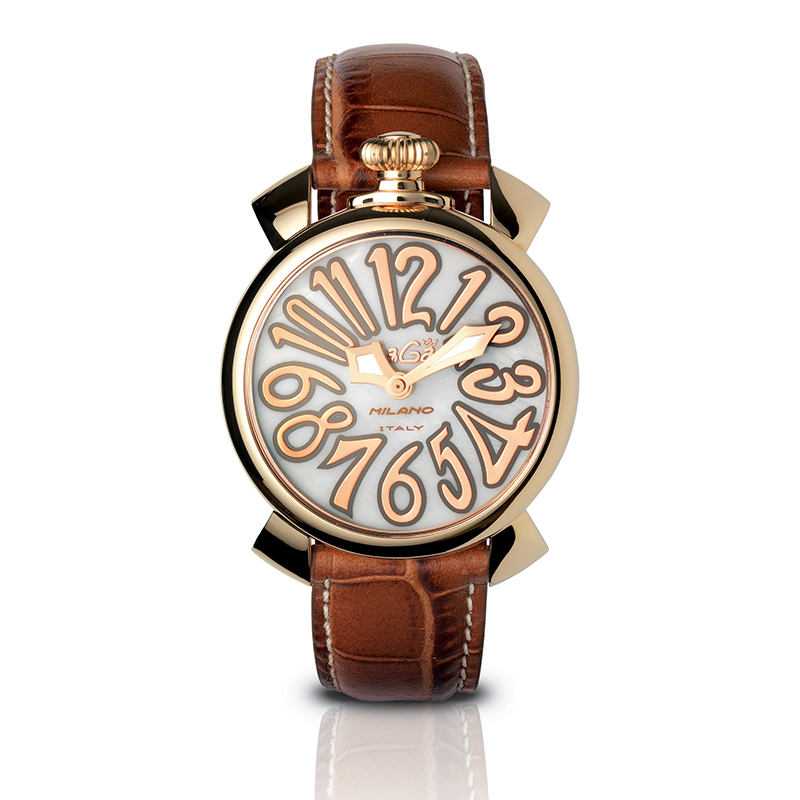 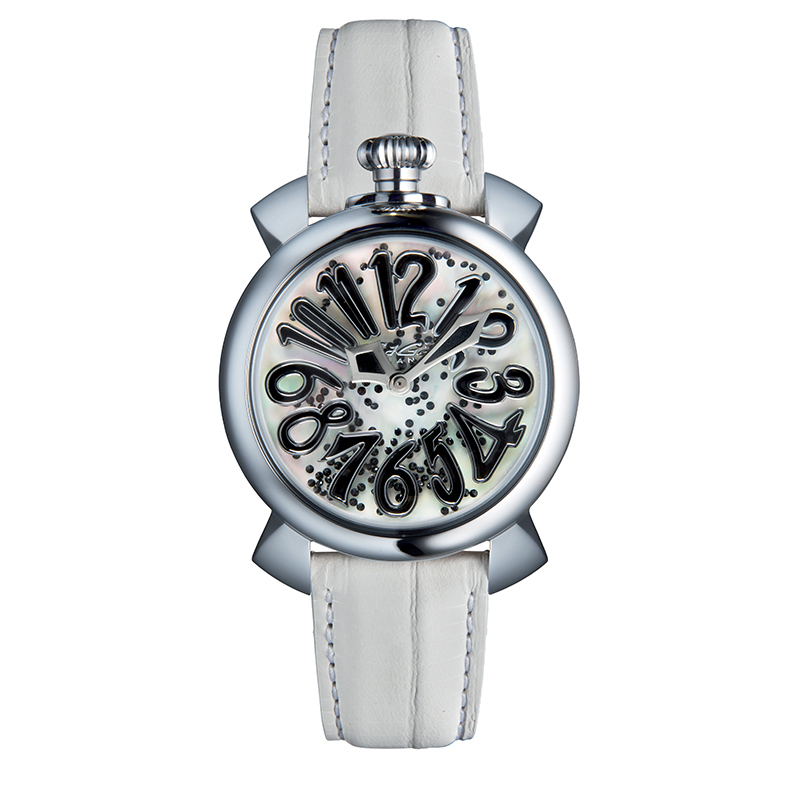 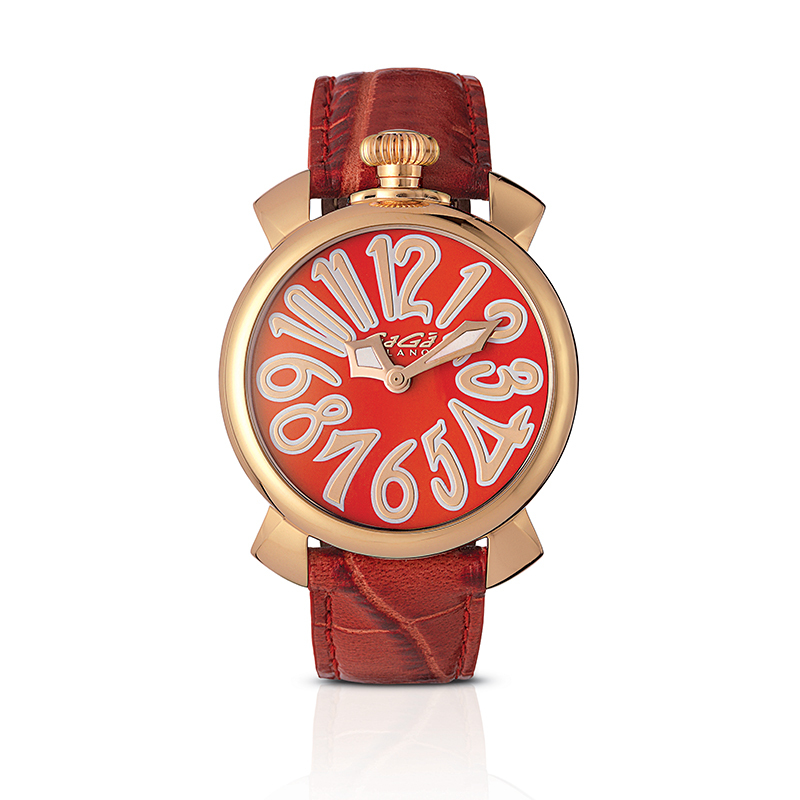 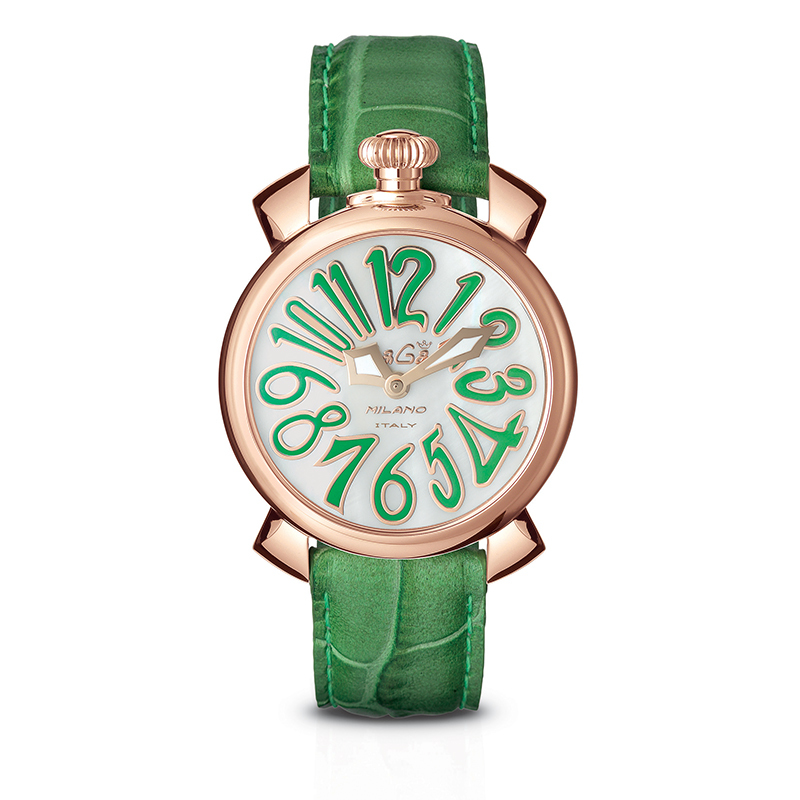 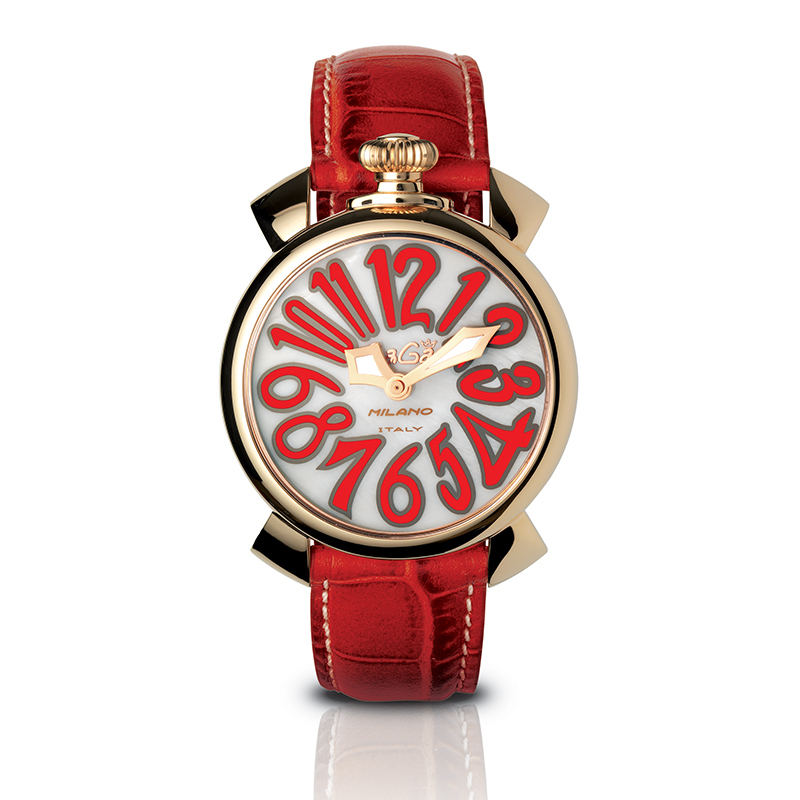 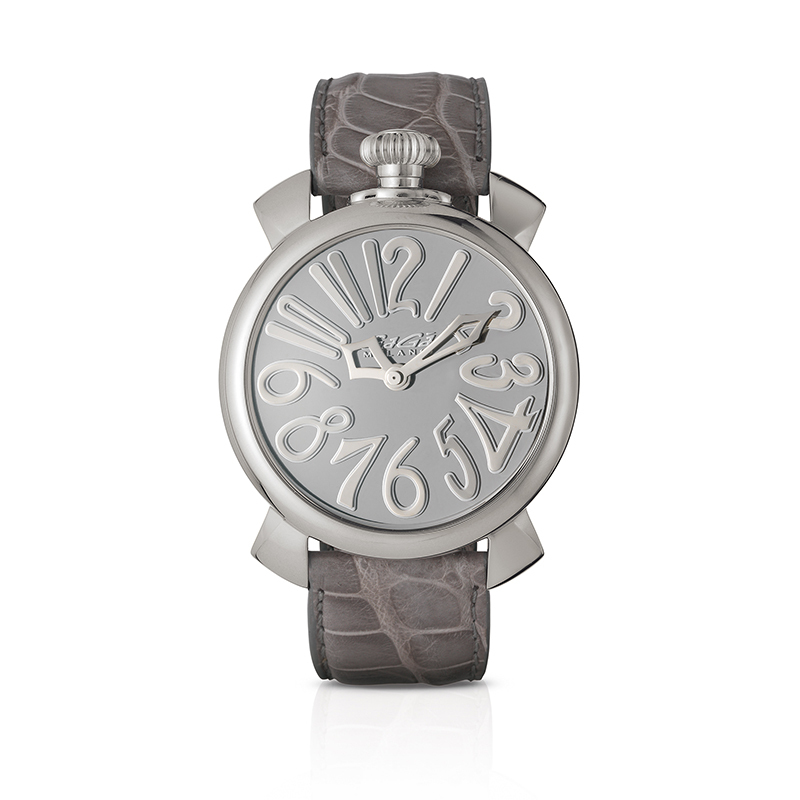 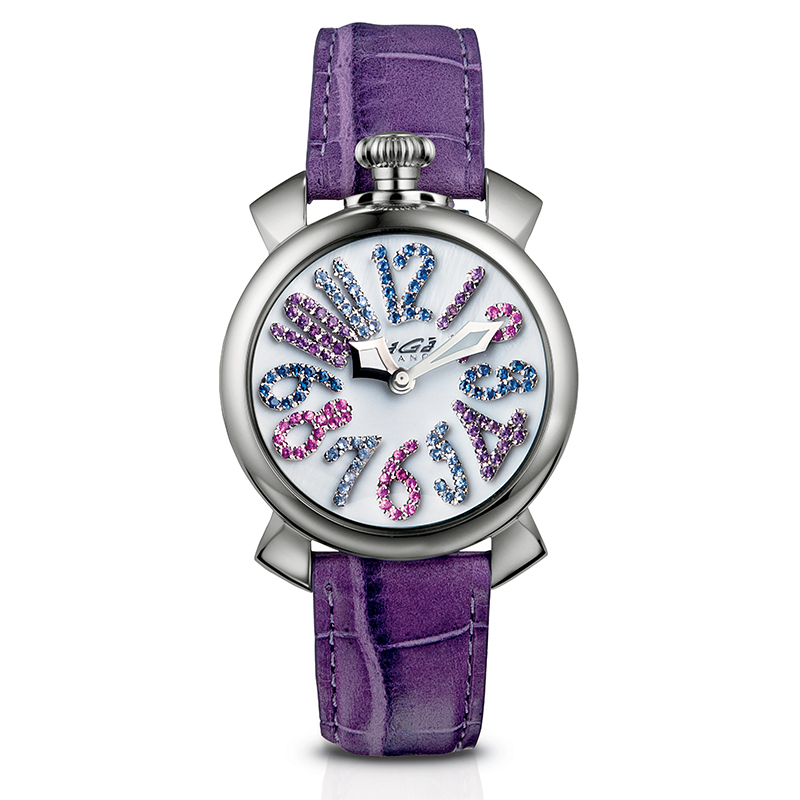 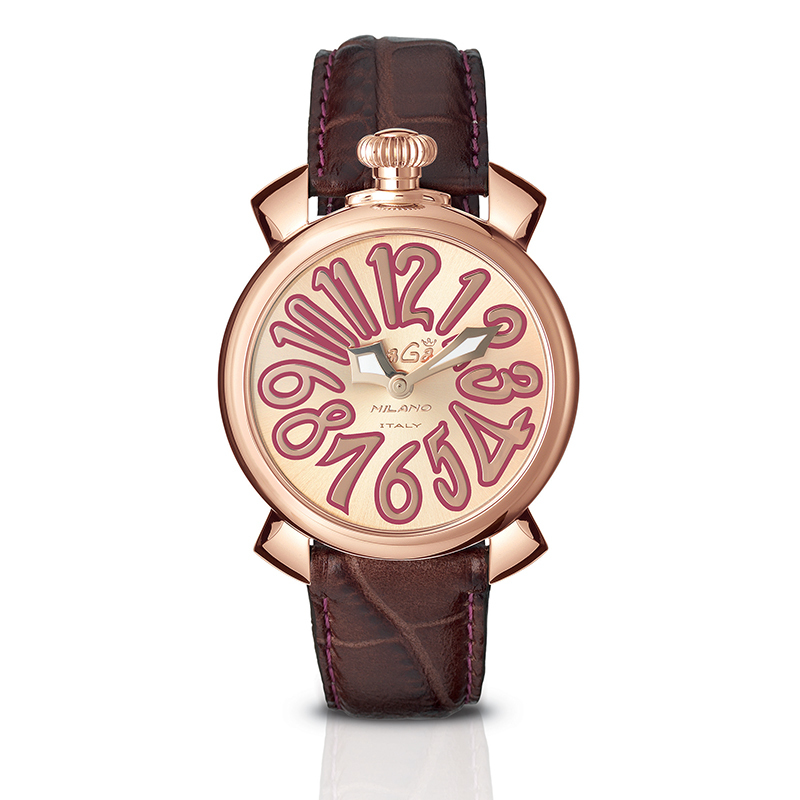 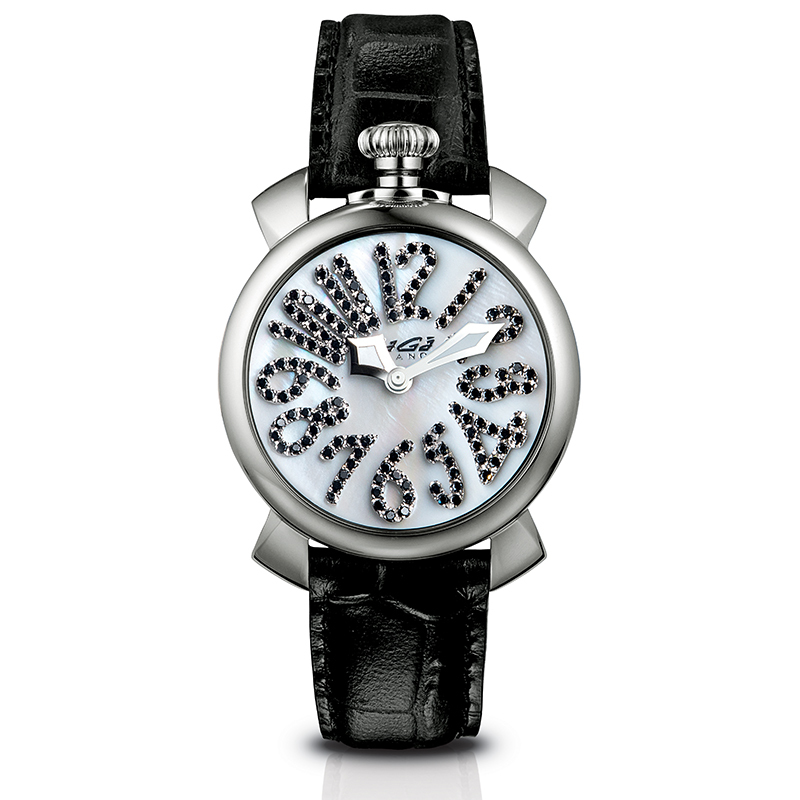 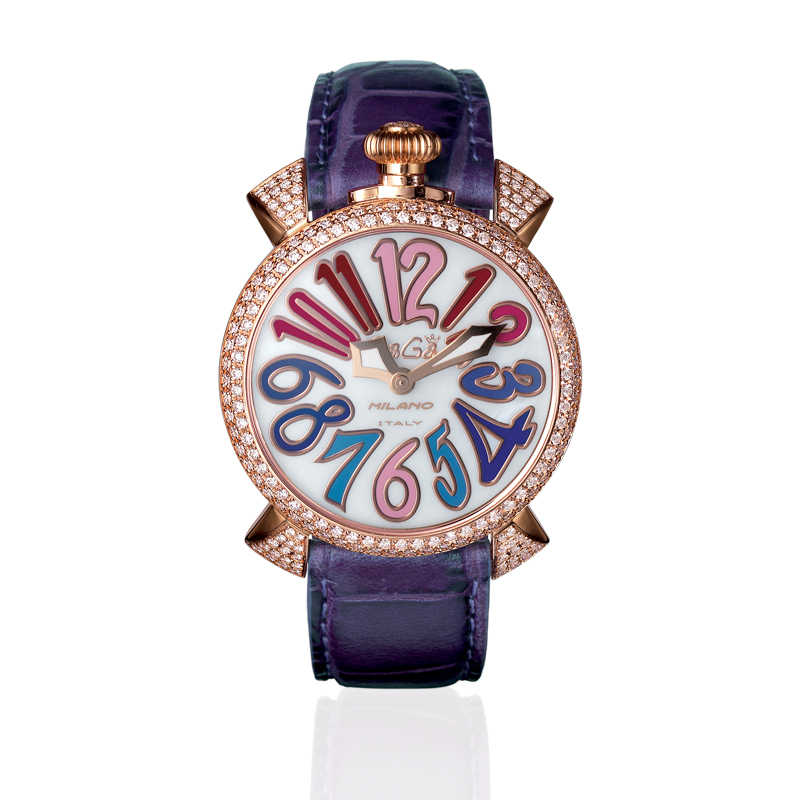 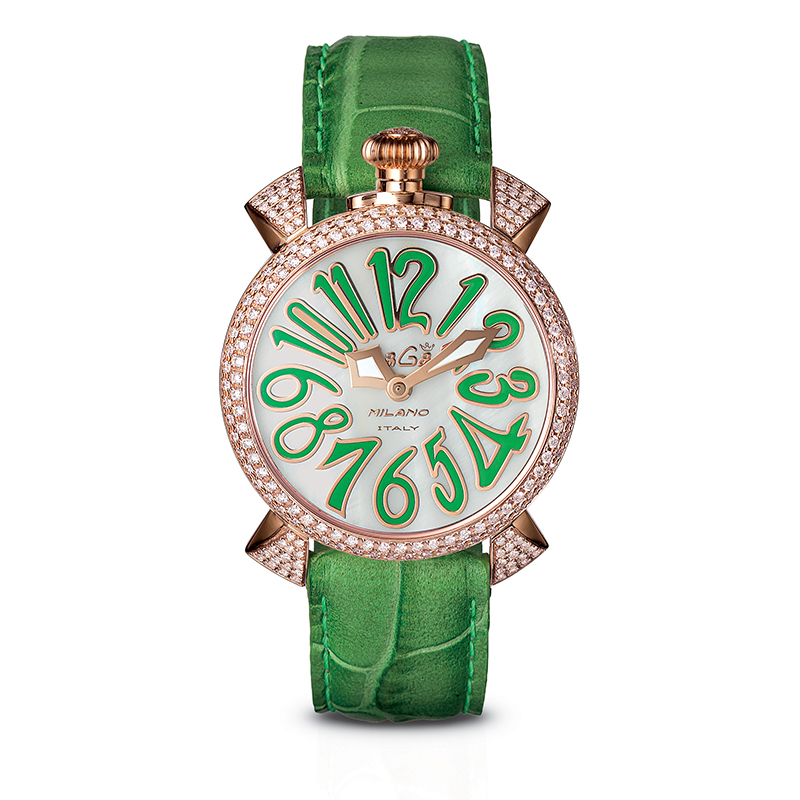 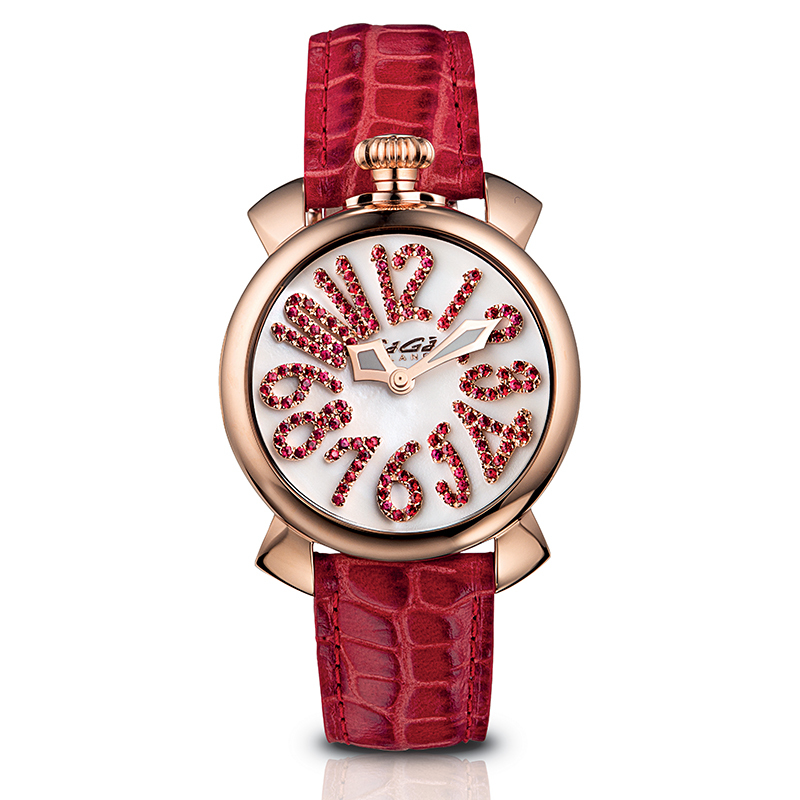 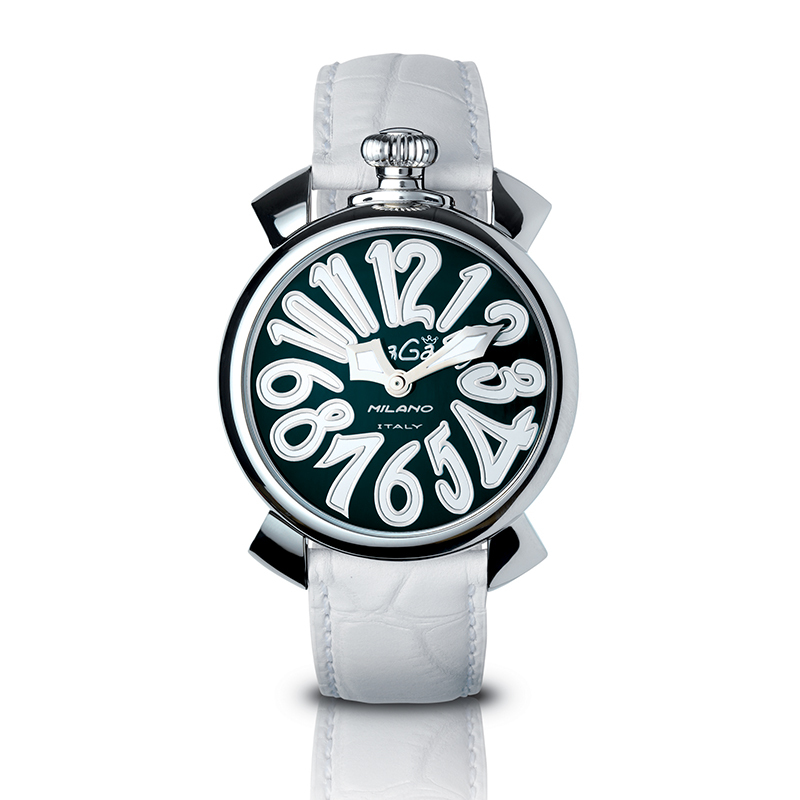 A colored handmade in Italy leather strap, matching the numbers and dial, completes the watch. 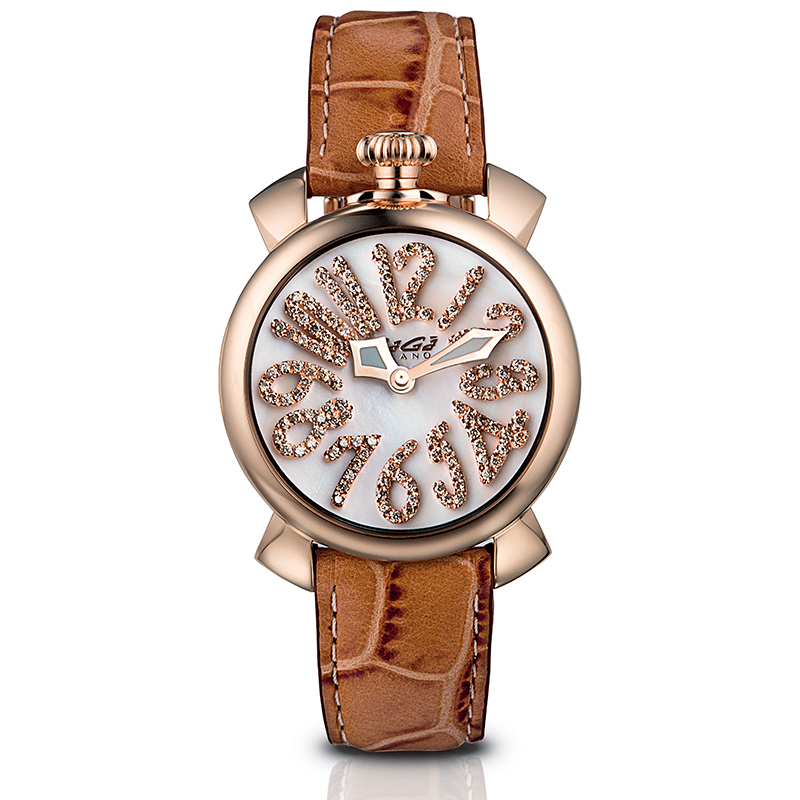 A feminine proposal could not be missing: the Manuale 40mm Floating, a quartz watch, available with a polished steel case, rose gold plated or yellow gold plated case. 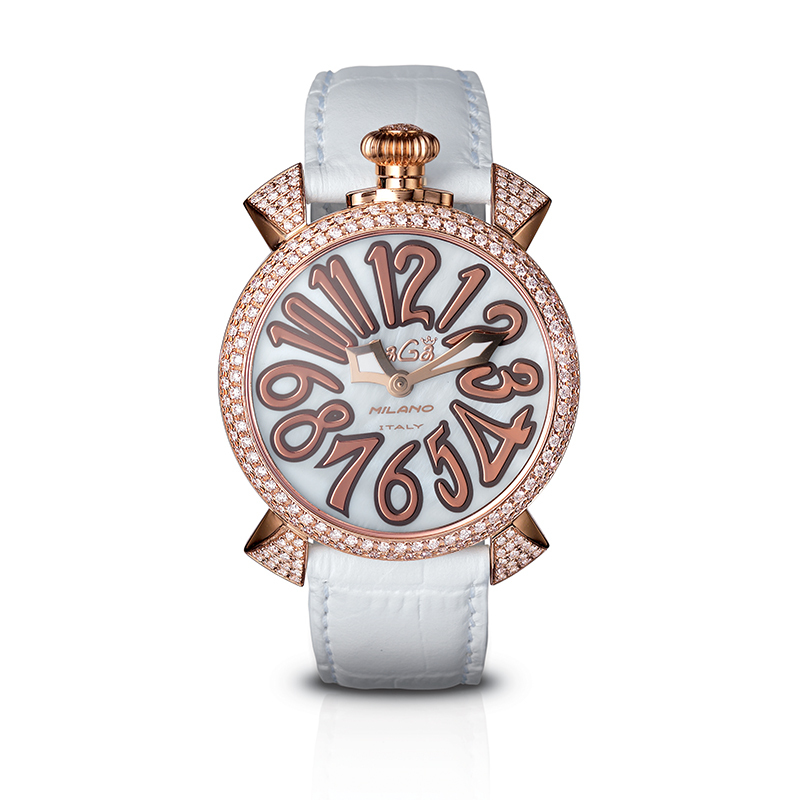 Real peculiarity of the watch, the natural diamond cut stones that float in the mother of pearl dial with Arabic numerals. 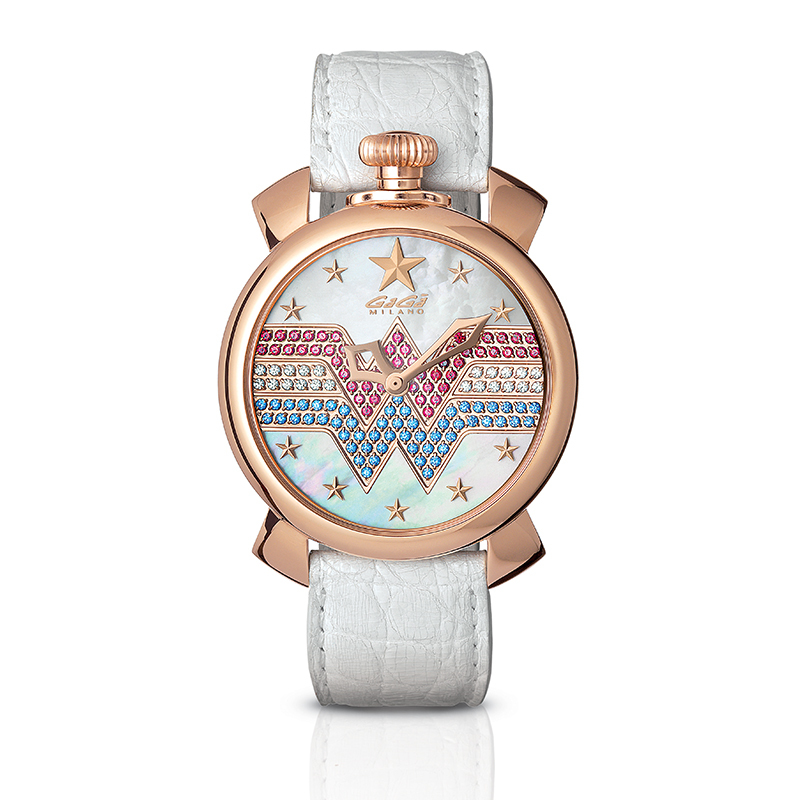 GaGà Milano, in collaboration with Warner Bros Consumer Products, will celebrate the birthday of Wonder Woman. Symbol of equality, strength, wisdom and a feminist icon, Wonder Woman continues well to be an example for all women today. 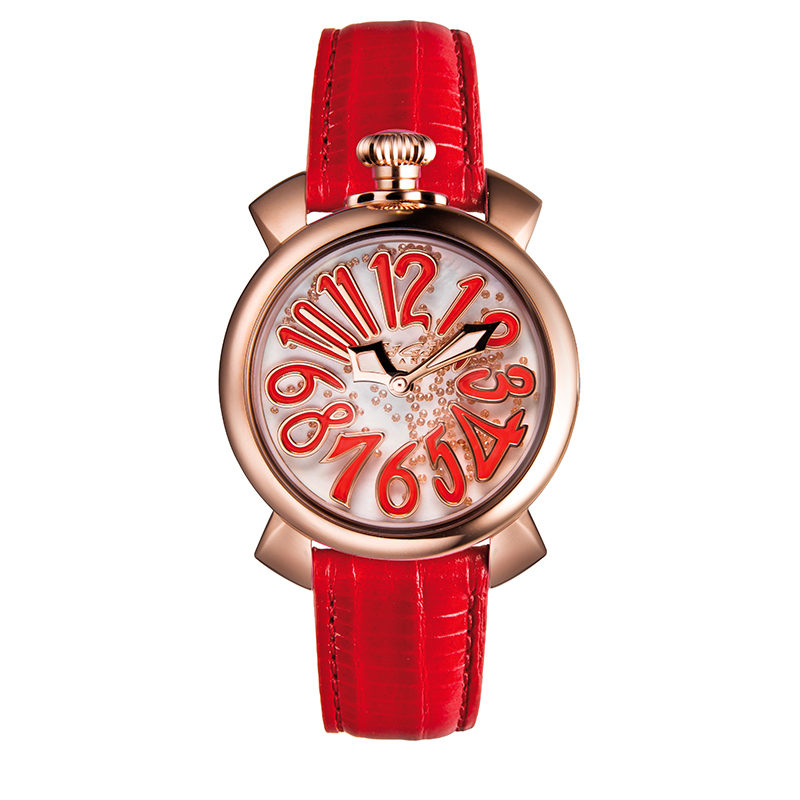 For her birthday, GaGà Milano has dedicated to the super-heroine of comics a “birthday” watch, in limited edition with 175 pieces. 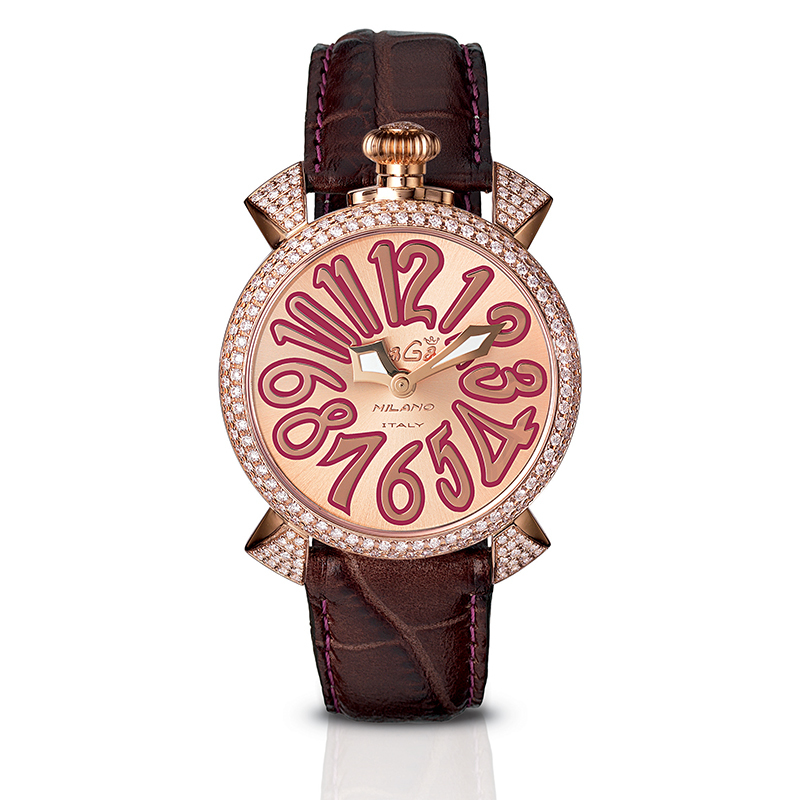 With a Swiss Made quartz movement, Manuale 40MM Wonder Woman 75th Anniversary has a pink gold plated case. 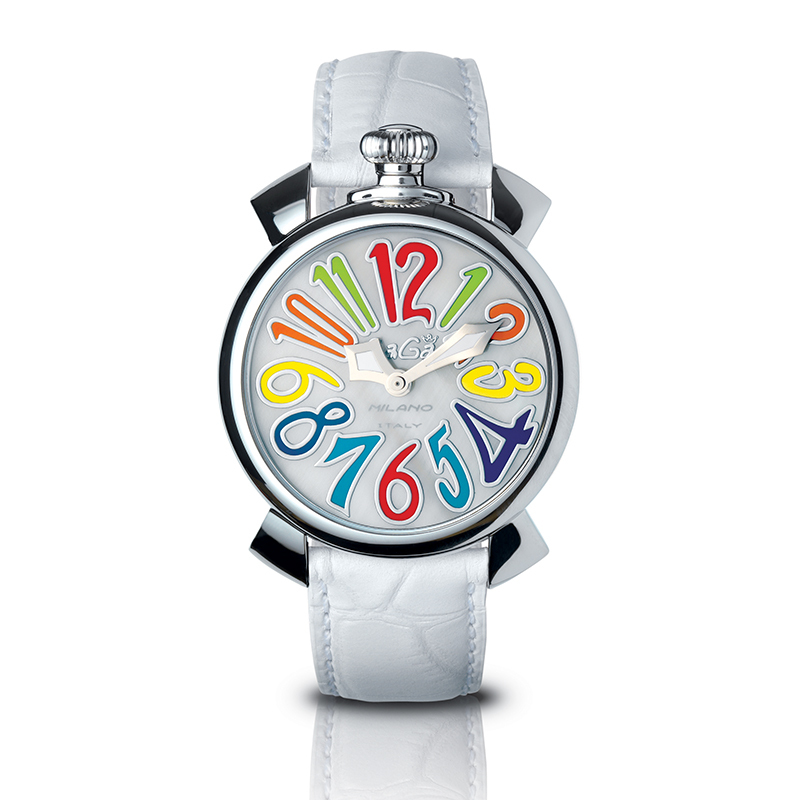 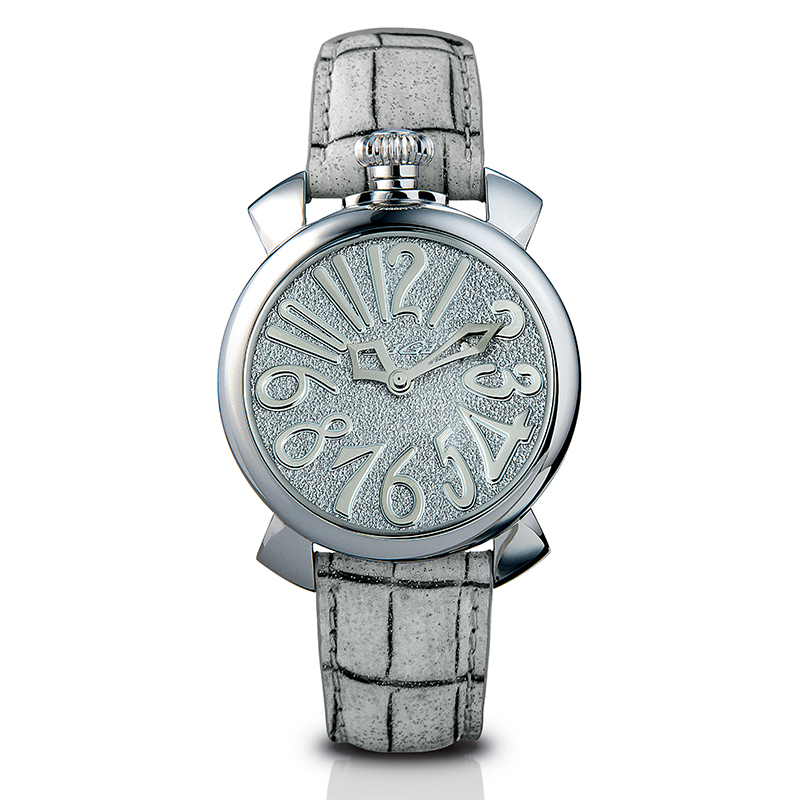 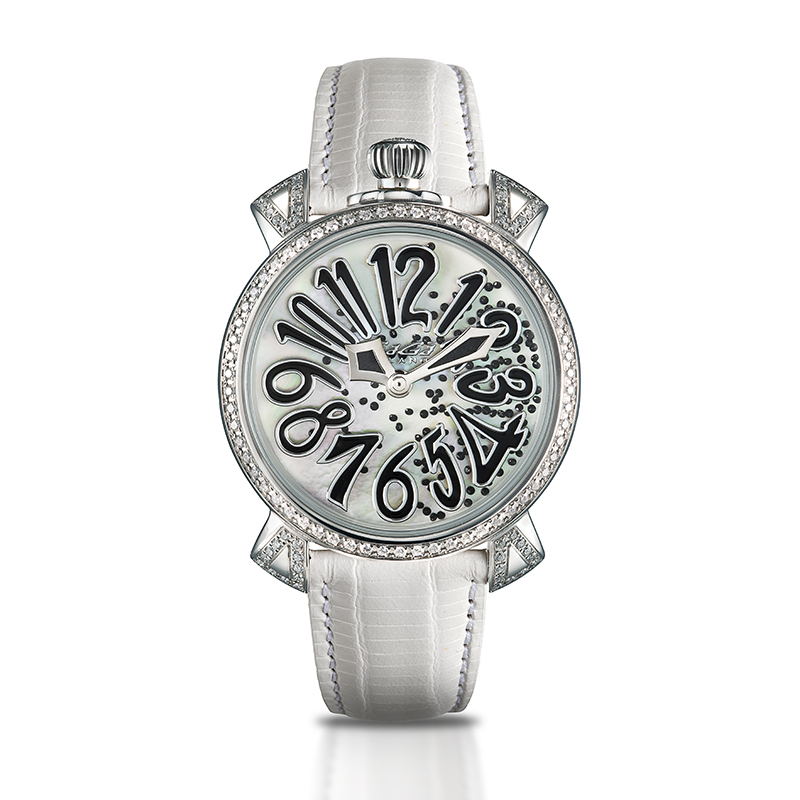 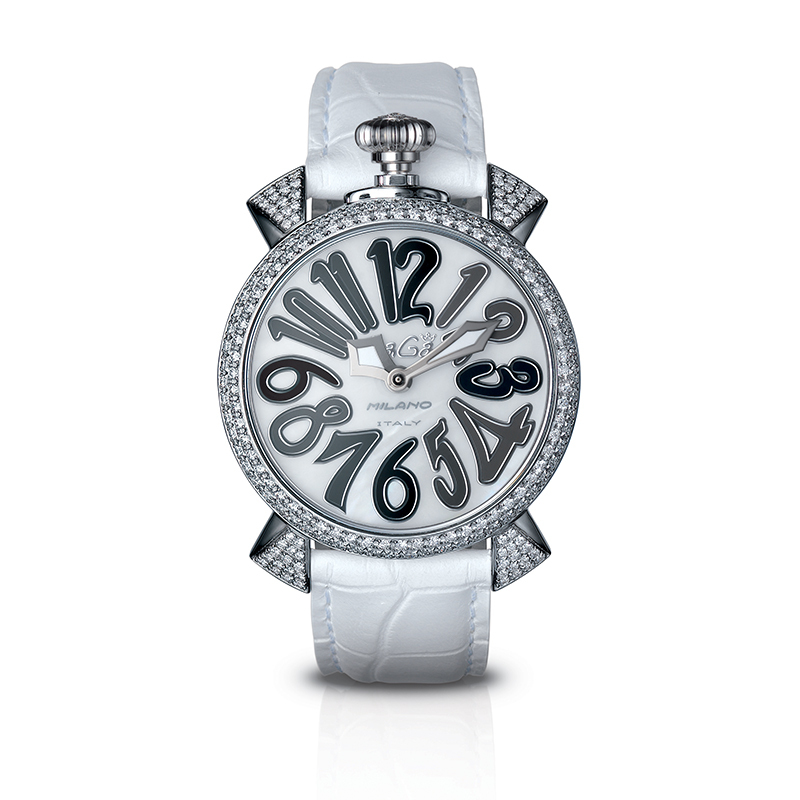 The famous colours of the US flag are reflected in small stones which draw the renown logo on the case in mother pearl. 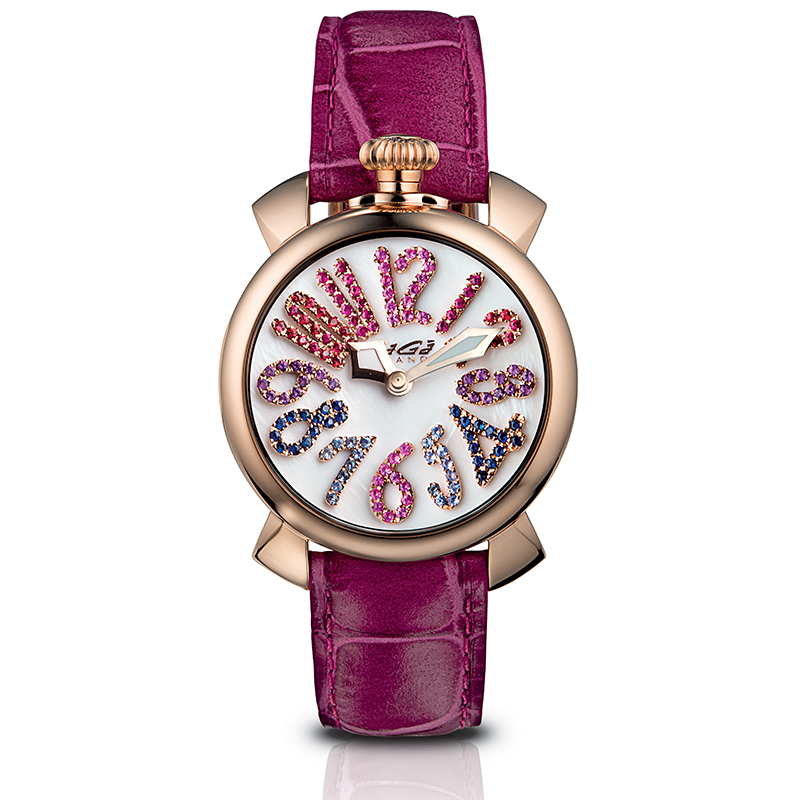 Indeces are impersonated with small pink gold plated stars. 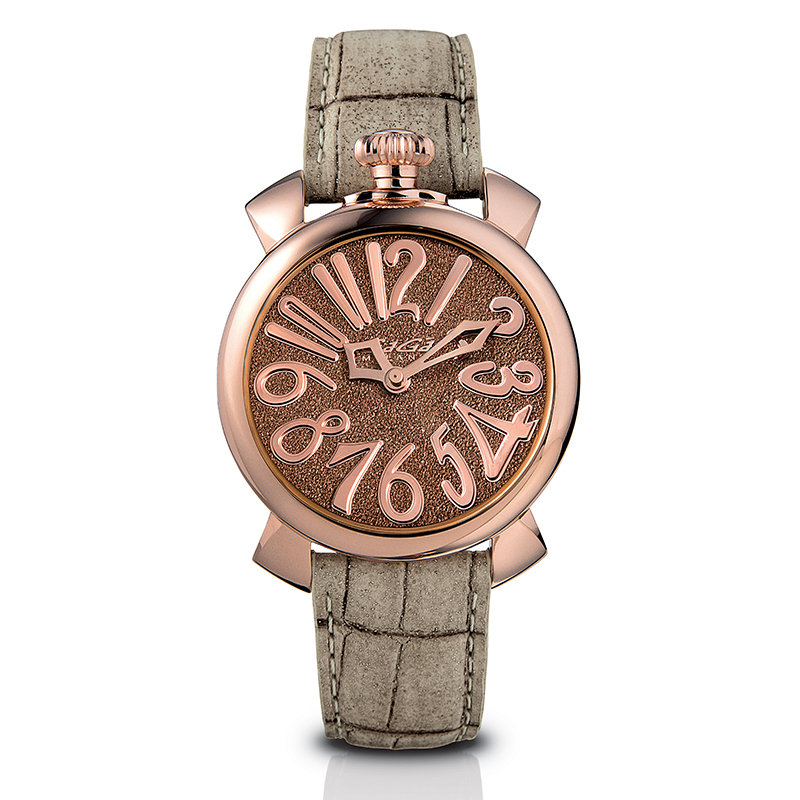 In nuance, the leather strap is handmade in Italy.